Stunning absolute waterfront holiday home perfectly positioned only 2 minutes walk to cosmopolitan Dee Why Beach. 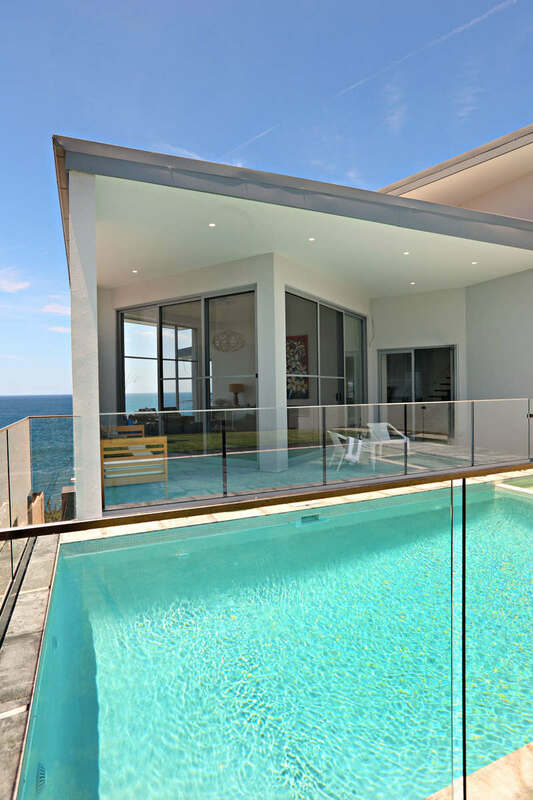 This ultra modern and newly built home is architecturally designed and luxuriously furnished to provide you with a 5 star holiday experience along with magnificent ocean views. 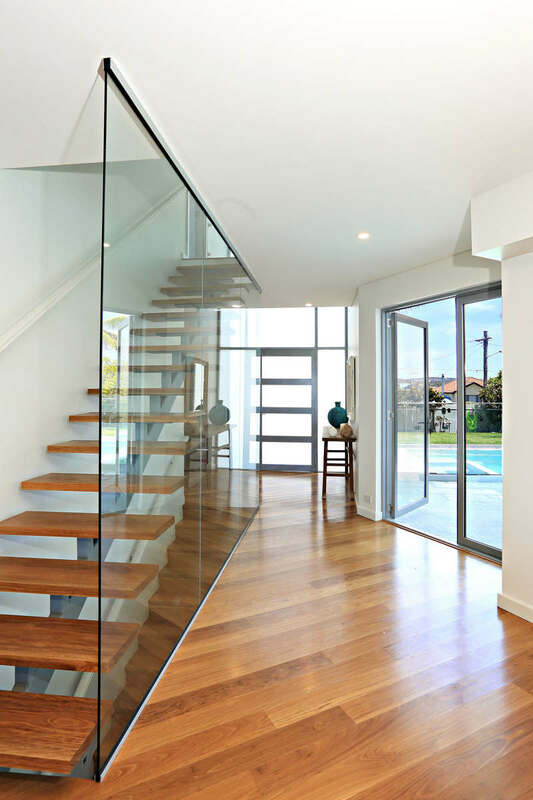 The soaring ceilings, huge picture windows, magnificent fitout, excellent location and north east aspect makes it one of the most spectacular homes in Dee Why. 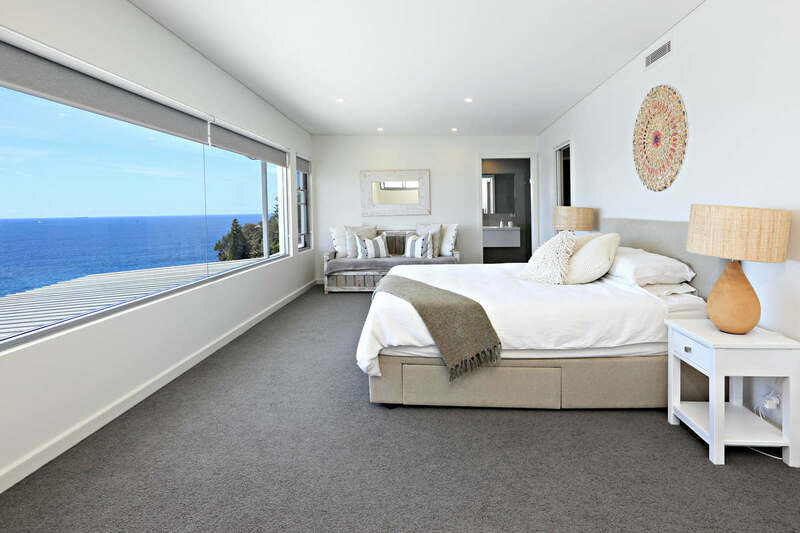 The spacious main bedroom features a large ensuite with a bathtub looking straight out to the ocean via picture windows as well as amazing water views from the King Size bed. You will fall in love with the chic interiors, designer kitchen, spacious living areas, large bedrooms and bathrooms, swimming pool and spa and outdoor decks and garden. 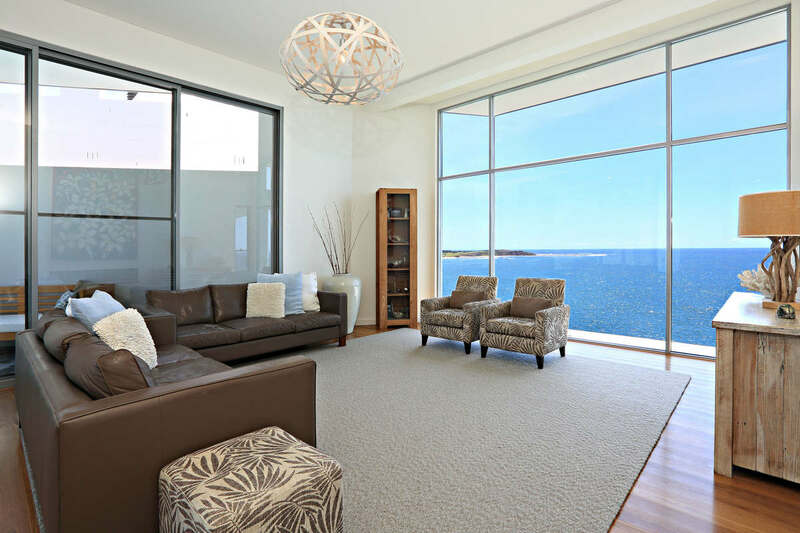 Perfect for families, the adults can relax and enjoy the ocean views in the 2nd living room whilst watching the kids play in the pool and the garden area. Watch the sun rise over the ocean in the mornings and watch the sun set from the swimming pool and garden in the afternoons. 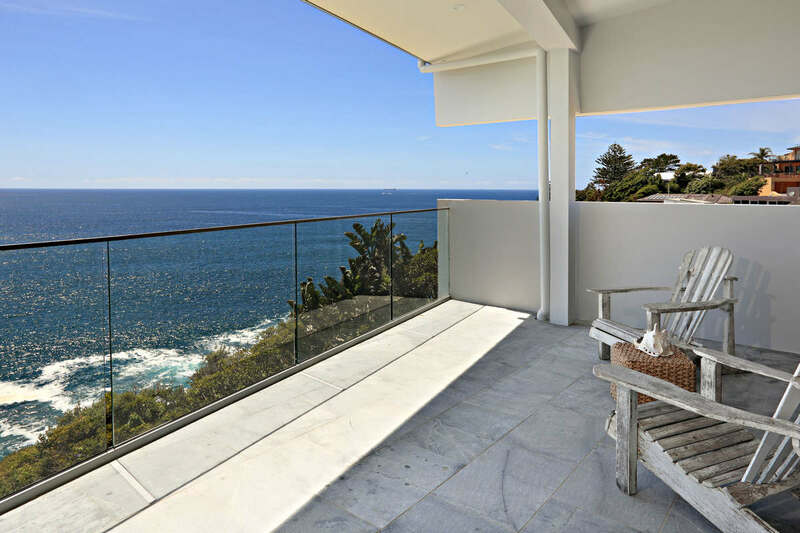 Enjoy a scenic walk along the bicentennial coastal cliff top walkway situated immediately in front of the house. An easy walk of 200 metres takes you to popular Dee Why Beach with its lifesaver patrolled areas, rock swimming pool, childrens playground, famous surfing spots and long stretches of sand. Why cook when you can choose from more than 20 restaurants, bars and cafes just a few minutes walk away on the Dee Why beachfront . 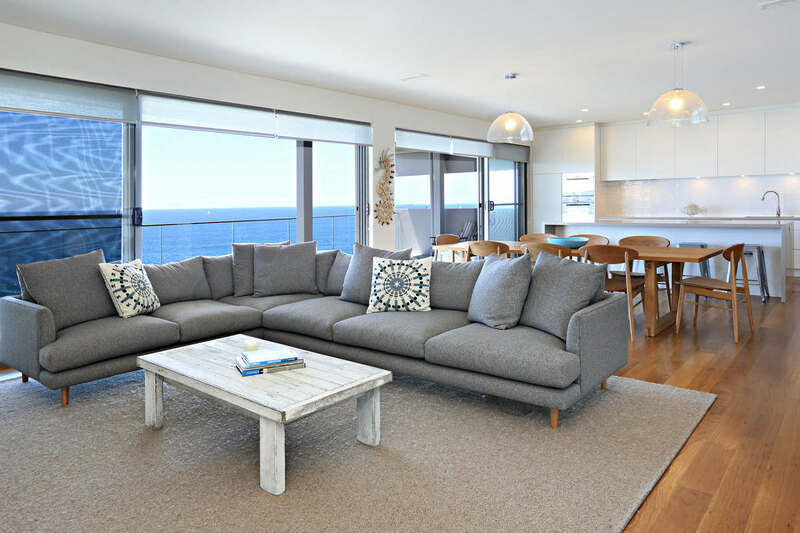 Discover the laid back yet cosmopolitan lifestyle of Dee Why Beach in style at this 5 star oceanfront vacation home. 6 bedrooms, 6 bathrooms, 2 kitchens, 3 living areas. 4 bedrooms, 3 bathrooms, 1 kitchen, 2 living areas.